Bad breath and relationships are similar to oil and water: they don’t mix. 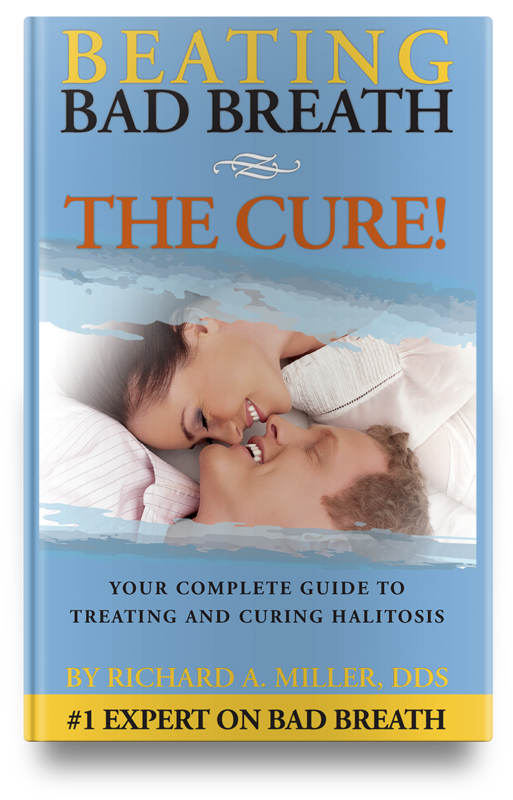 Halitosis can put a severe strain on all types of relationships, be it social, personal or intimate. And bad breath can be a key factor when beginning a new relationship or keeping one going. Broaching the subject of bad breath, even with a partner, can be extremely difficult and is often avoided until the problem reaches a point where it can no longer be overlooked. I found your site in my google search. I am constantly searching the web for a cure. I’ve tried every natural remedy and every mouthwash you can think of. I don’t know what else to do, I’ve been dealing with this for over 20 years. This has prevented me from going out, talking in public and even being intimate with my husband. I don’t have much of a social life because I’m afraid of speaking to people. My bad breath has gotten so bad, that I can smell the bad odor coming out of my mouth when I’m speaking. I really need help. Bad breath is ruining my life. Despite years of focused effort on having good oral hygiene and even spending a small fortune on products that promise a cure, some people still suffer from chronic bad breath. They may even feel like they should give up on the idea of curing it. However, once they realize that a real cure can be achieved only when the underlying root cause of the bad breath is dealt with, the missing piece of the bad breath puzzle becomes clear! I know you remember when I came in, I brought my boyfriend with me. He had been the first person to be honest about my breath. But he did more than that! He found you and the National Breath Center. I was certainly skeptical when he told me, but after going through your most thorough diagnosis, when you told me how you could cure my halitosis, I was convinced. And, I was very glad that I could start the same day. It’s been months since your treatment and I just want you to know that I have regained my confidence. I no longer dread meeting new people or being close to people, and my boyfriend is thrilled. For me that alone is a life-changing event. If severe bad breath is killing the passion in your life or straining relationships with friends and family, you owe it to yourself to examine our complete bad breath Total Cure which is only found at the National Breath Center. This bad breath cure was first introduced by Dr. Richard A. Miller in 1993 and since then has given thousands of people total freedom from the embarrassment and humiliation that bad breath causes. 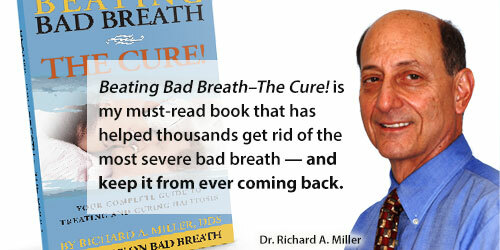 The National Breath Center backs its Total Cure treatment with a money-back guarantee.